SKU: kashiTakuPk. Categories: Featured Products, JKA Certified, Kendama, Meijin Takumi (Kashimaya Toy). The Kashimaya Toy Company’s kendama model Meijin Takumi is the kendama shape formerly known as the Tamiwa Toy Company’s TK16 Master. 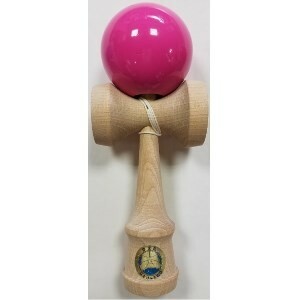 The Kashimaya Toy Company took over the production of this kendama shape in conjunction with the OEM when Tamiwa Toy ceased production of the TK16 Master. The rebranded kendama, Meijin Takumi, is produced in the same factory as the previous TK16 Master using the same design, wood, and paint. It is also held to the exacting standards set by the JKA. The Meijin Takumi is fully JKA certified and approved.